It supports various capture modes including Active Windows, Windows / Object, Rectangular Region, Freehand Region, Full Screen, Scrolling Window, Fixed Region, Repeat Last Capture and Import from clipboard, etc. 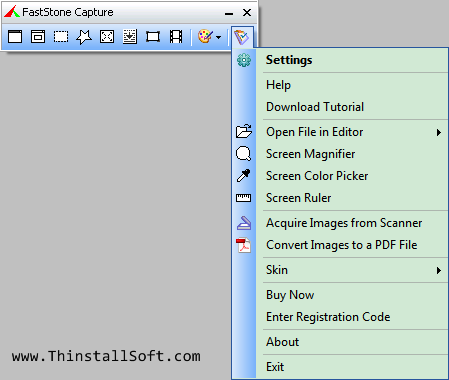 In addition, FastStone Capture is also a powerful image editor, Screen Magnifier, Screen Color Picker, Screen Ruler and Images to PDF Converter. You could also use FastStone Capture as Screen Video Recorder. 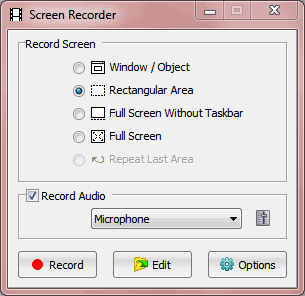 It could record Windows / Object, Rectangular Area, Full Screen Without Taskbar or Full Screen and save as WMV video files. Note: Run FSCapture.exe to launch FastStone Capture Portable. FastStone Capture Portable 8.4 is the Unregistered Trial Version, you have 30 day trial. FastStone Capture Portable 5.3 is the last Free Edition, it has five screen capture mode: Capture Active Window, Capture Window / Object, Capture Rectangel Region, Capture Freehand Region, Capture Full Region and Capture Scrolling Window. What's new in FastStone Capture 8.4? This entry was posted in Photo & Graphic and tagged color grabber, color picker, faststone capture, faststone capture portable, image editor, image to pdf, photo tool, screen capture, screen magnifier, screen recorder, screen ruler, screencast, screenshot, video recorder. Bookmark the permalink.